On earth, managing your waste is quite simple but it is a serious issue in space due to less gravitation. This forces the astronauts to wear special types of diapers but they have their own shortcomings. According to a new announcement by NASA, it will give reward of $30,000 (around Rs. 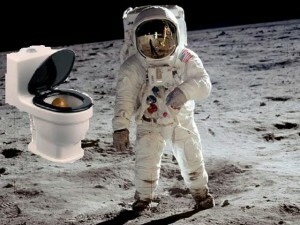 3 million) to a person or organization that will present the best solution of human waste management in space. Astronauts can’t change diapers again and again as they wear very heavy and complicated space suits. But infections and other diseases can be caused by continuous wearing of these diapers. To solve this issue, NASA wants suggestions from people around the world. Now designers from around the world can present their ideas to replace human diapers in space at a NASA’s created webpage “Space Waste Challenge”. Ideas on this page can be presented till 20th December 2016 while the selected idea will be announced in January 2017 and the winner will receive $30,000 reward. But NASA has also provided few instructions that should be remembered before sending any idea of space waste management. Sometimes, the low pressure in space cabin forces humans to wear the same dress for longer duration due to which it is necessary for any idea that the presented system must retain human waste for minimum 144 hours (6 days) and it would take 5 minutes to become part of space suit. Astronauts wear very heavy suits in space due to which it should be very lightweight. There is lightness in space which changes liquids in circular shapes and heavy objects also circulate at various places. An astronaut told in a video by NASA that space travel is difficult journey where astronauts have to visit toilets during flight also. Human waste in space is an important issue and now NASA wants to solve this issue through suggestions by experts around the world. 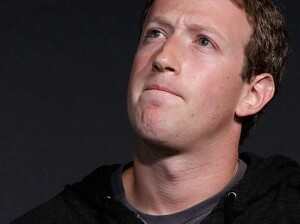 In just one day, Facebook founder Mark Zuckerberg lost around $3 billion. It has been proved as the largest single day loss for an individual investor as the fall of value of Facebook on Thursday was the reason behind this enormous loss to the head of social media giant. The shares of Facebook were down to 5.5% when chief financial officer of the company told investors that they are expecting meaningful decline from advertising revenue growth. The stock worth of Facebook is $50.2 billion of which Zuckerberg holds shares of $418 million. According to an estimate, $52.2 billion is the total net worth of Zuckerberg which makes him the 5th richest person in this world. For the year, Facebook shares have gone up by 15% despite Thursday’s loss which increase net worth of Zuckerberg by $6.4 billion.